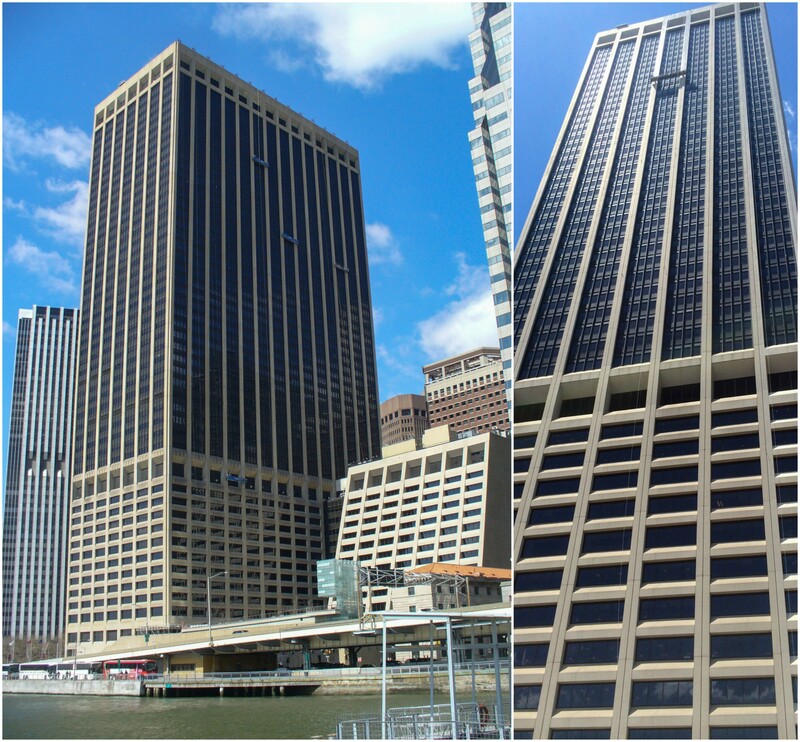 Western Specialty Contractors – New York City Metro Branch has completed a year-and-a-half long project to restore and waterproof the facade of Downtown Manhattan’s largest waterfront skyscraper. 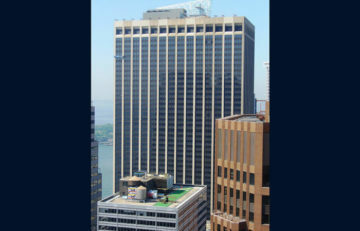 Once recognized as the largest office building in the world when it was opened in 1972, the 55 Water Street building consists of a 53-story tower (687 feet tall) connected with a 15-story North Annex, for a combined more than 3 million square feet of office space. Western Specialty Contractors was tasked with re-coating the building’s 580,000-square-foot concrete facade as part of the owner’s 10-year facade maintenance program. Western had originally waterproofed the facade in 2006. Western crews used a Dow Corning® AllGuard Elastomeric Silicone Coating (totaling 7,640 gallons) on the facade, replaced 13,000 linear feet of silicone wet seal, performed miscellaneous concrete spall and crack repairs, and replaced precast panel sealants based on inspections with the architect. Up to 16 workers at a time worked on the main tower. Since the building is located adjacent to the East River, securing the suspended scaffold and keeping workers safe in the persistent winds posed the greatest concerns on the project. Western initiated extra safety precautions on the job , which included developing ties to secure cables to the building’s house rig track every five floors and securing all scaffold decks at the end of each day’s work shift. Since the building was fully occupied during the facade restoration and a public park is located on the grounds, Western crews were careful to coordinate their work with the owner to minimize any interference with the building’s entrances and operations.